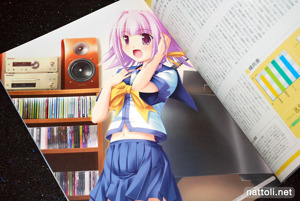 Though Marukata is the cover artist, Yoshizuki Kumichi contributes a total of three illustrations to Soundgirl - Onkyou Shoujo-, and all of them shift the sound equipment to creative and fantasy-filled environments. This is particularly important, because sound systems don't have a lot of mobility so the standard approach is to just put a girl in a room with speakers, which is unfortunately what most of the other artists did. 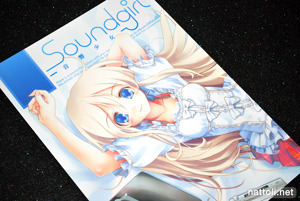 Soundgirl - Onkyou Shoujo- is a B5-sized doujinshi that's 56-pages when counting the covers. 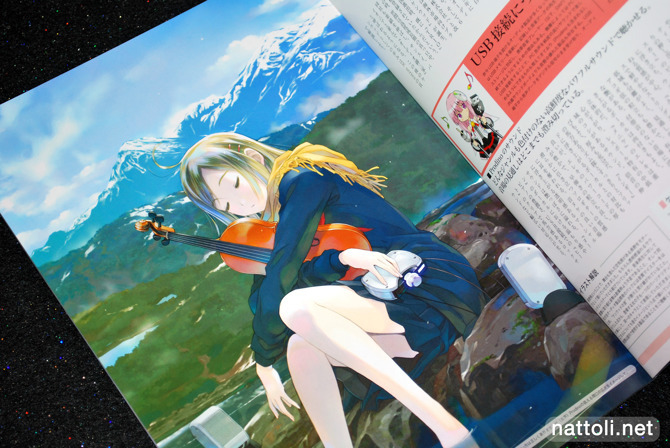 Illustrations are featured on every other page for the most part, tallying up to about 23 illustration plus the cover art. 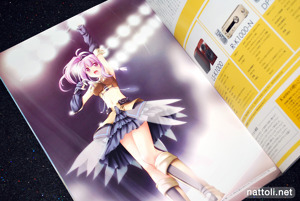 There are 10 artists participating in total, though one only drew a mascot character for the book. 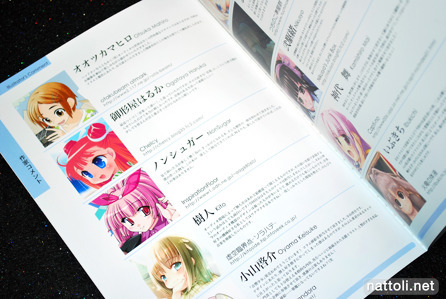 Aside from Marukata and Yoshizuki Kumichi, I wasn't too fond of the other artists participating. Ibukichi's illustrations were easily the worst of the bunch, managing to be both unattractive and irrelevant to the featured sound equipment. I did enjoy the two colorful contributions by Ogataya Haruka though. 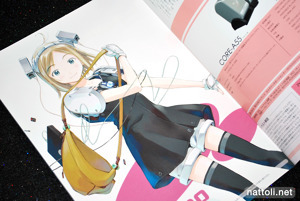 Otsuka Mahiro and Nonsugar also participated, with three works from Otsuka Mahiro and one equipment related illustration and two pages of comics from Nonsugar. Character-wise, both artists looked pretty average compared with some of the other works in the book, but Otsuka Mahiro really put in a lot of detail towards the audio systems (when included). 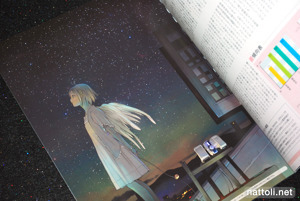 Though I wouldn't recommend Soundgirl - Onkyou Shoujo-, it's still pretty cool that this idea spawned a commercial art book and sequel in the form of Soundgirl Duo, with a much more diverse (and professional) assortment of artists. 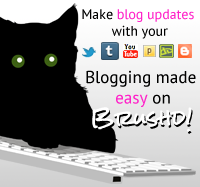 Have you got soundgirl duo? Any better? I liked the camera one better, I guess the camera is something easier to focus on.